It changes a beautiful woods into a scary scene. It changes a promising sunny afternoon at the pool into a disappointing change of plans. It changes a house into an obstacle course full of pinky toe-biting monsters. Darkness changes things, perhaps most significantly is how it impacts our perception. When night falls and dusk creeps over camp, even I am (still) afraid of the dark. It doesn’t seem to matter that I KNOW that camp is still the same place as it was in the full light of day… I find myself jumping at sounds in the woods, concerned about what could be hiding in the shadows, and even fearful of being alone. What assurance we have that Christ, our light, has not been overcome by darkness! No matter how “dark” the times are that we face, we can know that Jesus shines in that darkness… and the darkness has not overcome His light! 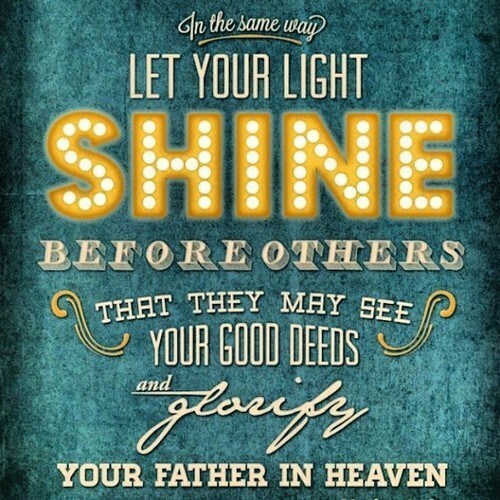 What’s more: Christ has called us to be a light to our world, to shine like stars in a dark and broken world. 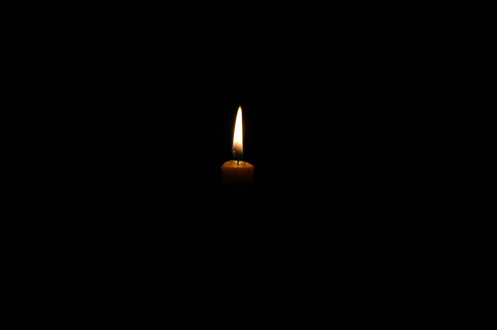 Our eyes are so keen that scientists say we can perceive the glow of a single candle from miles away. We need to trust our spiritual sight when darkness closes in to see the light of Christ shining and to believe that, no matter how small that light may seem, it will not be overcome! We need to know that OUR light, even if it is just us standing alone, shining for Christ can be seen through the darkness. Light changes things because Christ changes everything.